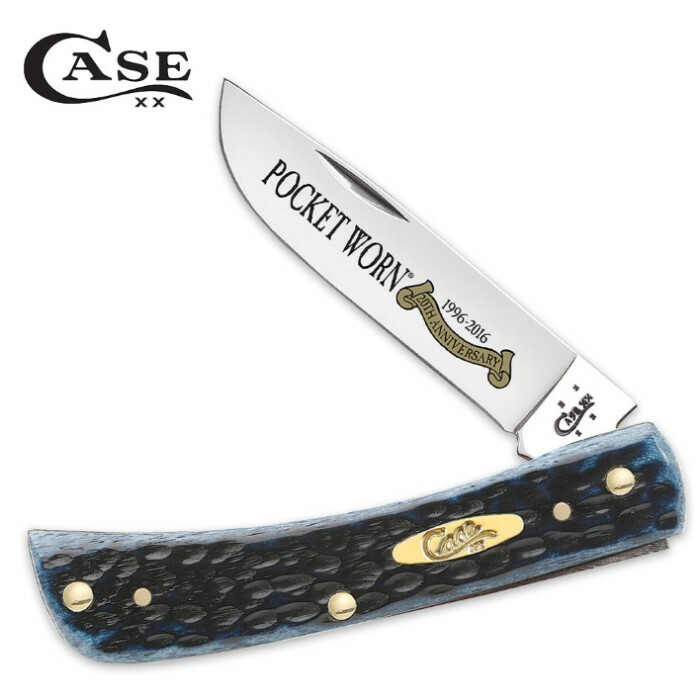 Case Pocket Worn Denim Bone Sod Buster Jr. Pocket Knife | BUDK.com - Knives & Swords At The Lowest Prices! Case Pocket Worn knives are a favorite with those who appreciate a good-feeling, hard-working knife and some things just get better with age. From its smoother surface to its slightly rounded edges, this family commemorates the 20th Anniversary of the first Pocket Worn knife. A careful hand finishing process gives each knife a worn look and feel like it’s been in your pocket forever. The Worn Denim Bone Sod Buster Jr. features a pocket worn standard jig Denim Bone handle and an embellished skinner blade. The pocket knife is 3 5/8” closed and is made in the USA.